An upper air cyclonic circulation over south west bay of Bengal near Sri Lanka persists. Trough of Low over South East Bay of Bengal also persists. Dry and cold weather to prevail over many parts of India. Rain is likely to occur over Jammu and Kashmir today. 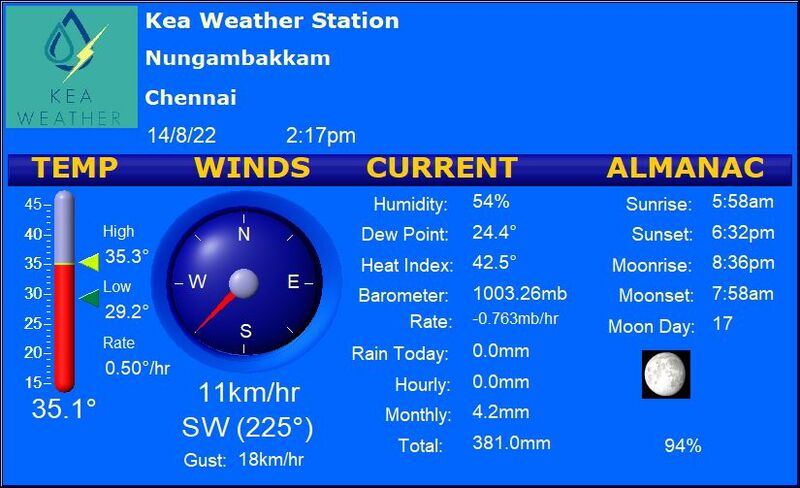 Chennai will see clear skies with slightly uncomfortable conditions around noon time. Maximum will stay around 32 C.
Coimbatore will experience hot weather conditions with maximum soaring up to 34 C.
Madurai will remain bright and sunny with maximum settling around 35 C.
Trichy will experience fair weather conditions with day time heat peaking up to 34 C.
Vellore will experience dry and sunny conditions with maximum settling around 33 C.